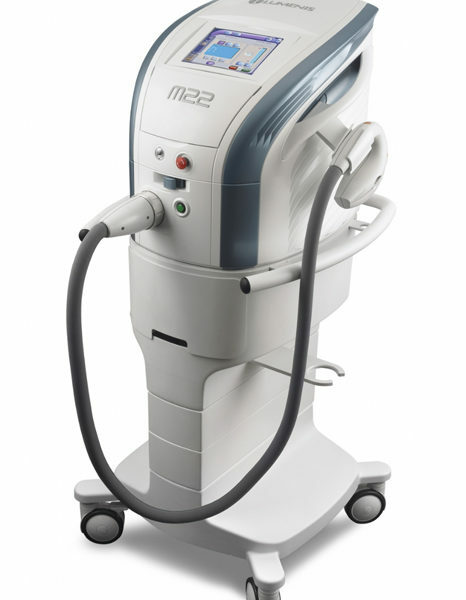 At Charisma Skin Studio we use the leading technology of the Lumenis M22 IPL machine. Our focus is delivery safe, fast, real results. • Safe, clinically validated treatments, that will permanently remove your unwanted hair. • Experience visible hair reduction already after the first treatment. The Lumenis IPL hair removal treatment is a safe, non-invasive treatment that permanently reduces hair growth, resulting in smooth, beautiful skin. Our unique IPL (intense pulsed light) technology targets the hair follicles, and impairs their ability to grow hair. IPL hair removal is effective on black, brown and red hair. The Lumenis IPL hair removal treatment is generally administered in a series of four to six sessions that yield excellent long-term results. significant hair reduction is already visible after the first session. Highly controlled pulses of light are applied on the treated area and are selectively absorbed by the hair follicles, which damages the re-growth potential of the follicles – all without damaging the surrounding tissues. • Visible improvement for pigmentation, age/sun spots, broken capillaries and overall skin appearance. • A treatment that removes skin imperfections and stimulates Collagen and Elastic fiber production. The Lumenis IPL Photorejuvenation treatments works with your skin to remove your imperfections and stimulate Collagen and Elastic fiber production over a sequence of treatments. Some skin concerns such as shallow pigmentation and age/sun spots can be cleared with as few as 1-2 treatments. Typically, 2-6 sessions with 2-4 weeks in between are needed to achieve optimal result for most skin concerns. The IPL (intense Pulsed Light) technology allows treatments of pigmentation and vascular imperfections, while improving overall skin appearance. Light pulses penetrate the tissue and create heat, targeting the skin imperfections in a controlled manner. The body’s natural process then removes the treated tissue, while collagen and elastic fiber stimulation occurs, resulting in visible improvement in skin tone and overall appearance.